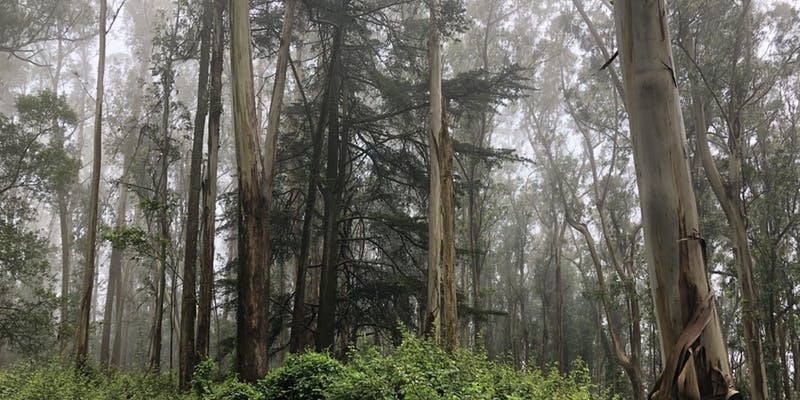 Explore this nook of wilderness near the UCSF campus. This greenbelt has a native garden and is a great place to get away for a few hours. Mount Sutro Loop is a 2.2 mile lightly trafficked loop trail located near San Francisco, California that features a great forest setting and is rated as moderate. The trail offers a number of activity options and is accessible year-round. Dogs are also able to use this trail but must be kept on leash. Liability Disclaimer: Outdoor events such as hikes, walks, and bike rides are activities that involve the risk of property loss and personal injury, including but not limited to permanent disability and death. By registering or participating in this event ("Activity"), you and your estate agree to waive any and all claims of liability against the Harvard Club of San Francisco (the "Club"), the Club's officers, event organizers, volunteers, agents, and affiliates for any and all injury or damages that you may experience. You and your estate further agree to indemnify the Club, the Club's officers, event organizers, volunteers, agents, and affiliates against any and all claims brought by third parties who allege that you are legally responsible for property loss and/or personal injury during an Activity. You agree to assume all risk of personal injury, death, or property loss that might result from participation in the Activity.